Italian design company, Abhika released its first collection of interior decorations and home furnishing in 2008 with the ambitious idea of creating a total look for elegant homes, smart hotels and refined public spaces. Located close to Venice, in Italy, their credo is fearless design and they’re inspired by other leading designers and architects around the world with whom they sometimes collaborate.. 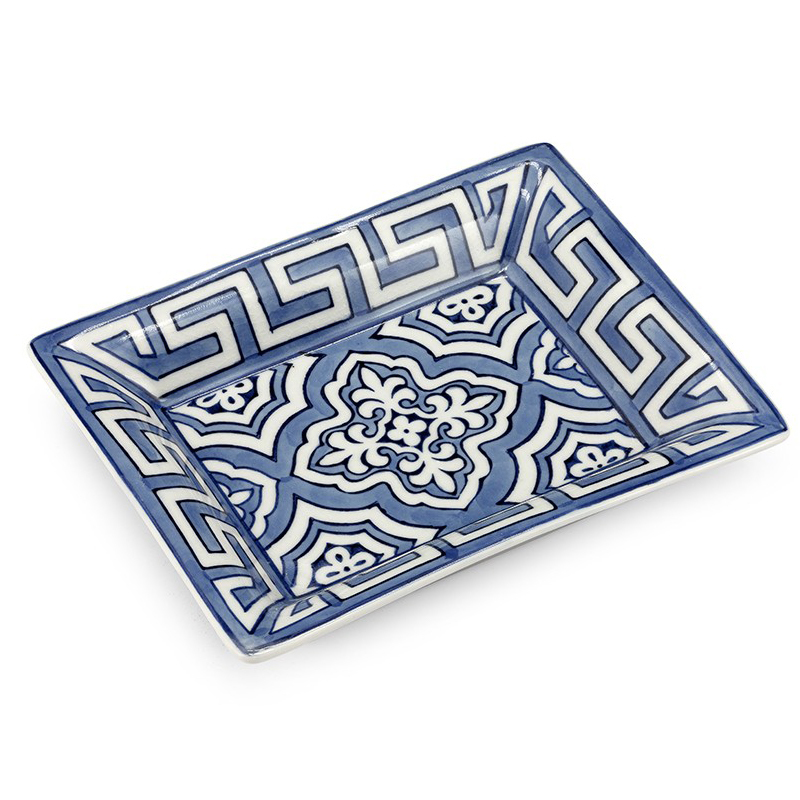 This beautiful Mykonos plate is based on a traditional design. It's ideal for summer entertaining or even to bring a suggestion of some of that Greek sunshine inside. Based on a traditional Greek design. Dimensions: 18cm (l) x 3cm (h) x 14cm (w).